New addition to our menu, dong-chi-mi gook-su! Starting today, you can enjoy Dong-chi-mi Gook-su, a prolific Korean noodle dish with refreshing cold white kimchi broth, only for $7 here at SURA Korean BBQ Restaurant. It’s a perfect complement to the sizzling BBQ! Click here to find out more about Dong-chi-mi Gook-su! 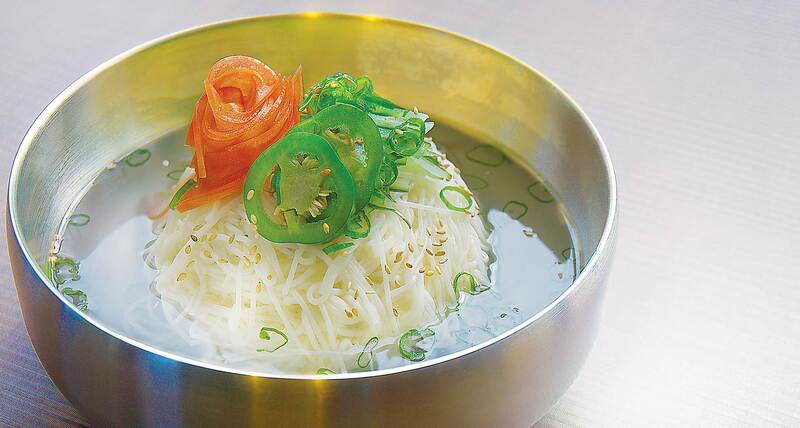 We’re quite pleased to serve our outstanding customers with this delicious and healthy Korean food. We hope you will visit us soon to enjoy the excitement!